The UK’s national technology and innovation centre for the process manufacturing industries, providing world leading capability and expertise to companies. CPI provides world leading capability and expertise using applied knowledge in science and engineering combined with state of the art facilities to enable their clients to develop, prove, prototype and scale up and commercialise the next generation of products and processes. Their open innovation model enables clients to develop products and prove processes with minimal risk. CPI provide assets and expertise so their customers can demonstrate the process and prove it is feasible before investing substantial amounts of money in capital equipment and training. New products and processes can be proven; on paper, in the lab and in the plant before being manufactured at an industrial scale. From NETPark in Durham, CPI’s facilities and expertise provide clients with the environment to understand how their products and processes perform under manufacturing conditions and accelerate their commercial realisation. The image above shows work to use organic light emitting diodes to create a new generation of windowless airplane fuselages. 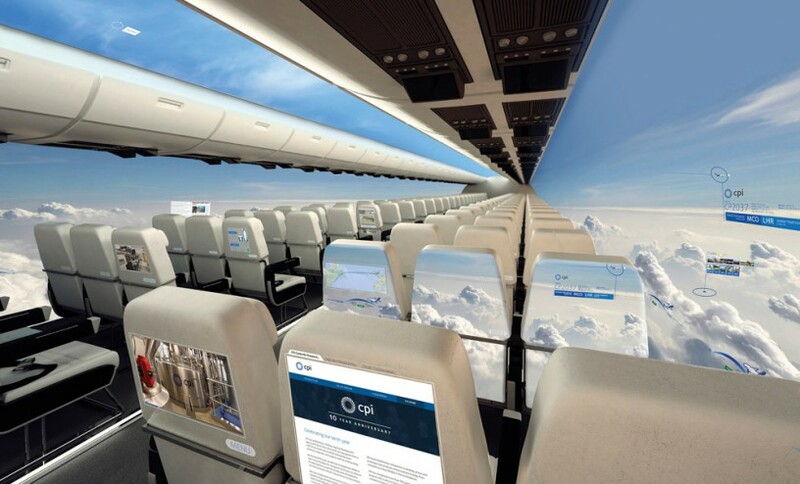 Transforming how you see your flight from the plane and reducing fuel consumption considerably.